This innovative new design indoor dome camera uses existing coaxial cable, but delivers 1080P HD video to an HD-SDI DVR. These cameras are great for upgrade of an older analog CCTV camera system, to provide high definition video without having to change wiring. 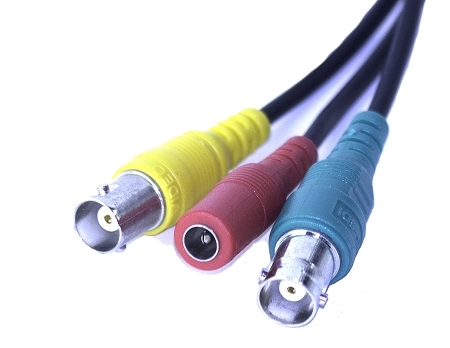 NOTE: Must be paired with an HDSDI DVR or DVR Card in order to operate. The built-in adjustable varifocal lens allows you to set the focus and zoom easily. This HD-SDI (HD over Coax) style camera provides great quality color video during the daytime, then switches to black and white at night with infrared night vision up to 65' in Pitch Black conditions. The lightweight plastic dome allows easy installation on drywall or drop ceiling tiles, and has a built-in 3-axis adjustment allowing it to be mounted on ceiling or wall without any additional brackets being needed. This HD over Coax camera also has a built-in analog output, allowing it to be used at standard definition to plug into a traditional DVR (at standard resolution) or a public display monitor. 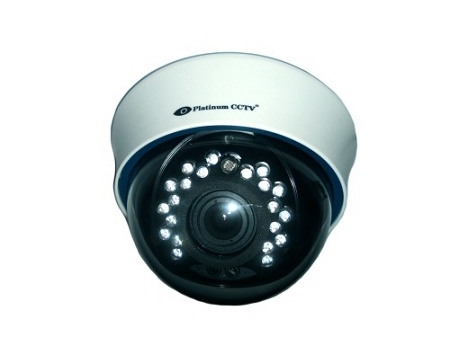 This Professional Grade 1080P HD Indoor Dome is great for your business security needs.